Eid is a few days away and everyone that I know is gearing up to get some henna or mehndi (temporary tattoo) done. It's a traditional aspect of various cultures and is frequently done at weddings and celebrations. But it's come a long way with new colors, designs, and even the uses of gems. 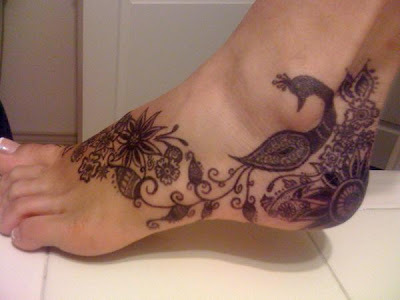 Here are the hottest henna (mehndi) styles and designs for Eid 2012. Henna With Gems: Add more spice to your henna designs by getting a few crystals to bling up your henna art. Henna With Glitter: Make your henna shine by making it glitter in the sun. There are numerous colors to make your henna pop. Animal Henna Designs: Henna is not only limited to only flowers. Whether it's peacocks, baby elephants, or butterflies, animal henna designs are in. Accessory Henna Designs: Henna doesn't have to look like henna anymore. Why not make it look like a bracelet, ring, or even fingerless gloves? Tribal Henna Designs: Tribal henna is making a comeback. You know, it's the henna designs our mothers and grandmothers used to love doing. They are simple, to the point, and very traditional. 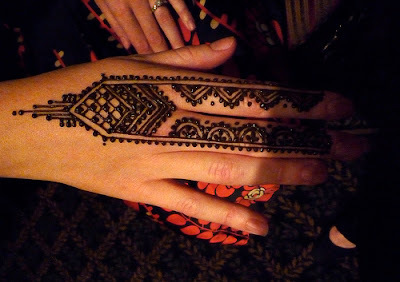 I am loving the tribal henna and accessory henna! These are definitely my top two choices for this Eid. What would you be getting this year?